Dr. Russell Marz received his premedical degree in nutrition from Buffalo State University at New York in 1979, where he pioneered research on antioxidants. In 1983, he received his naturopathic doctorate from the National College of Naturopathic Medicine in Portland, Oregon. He then proceeded to bicycle 10,000 miles around the continental U.S., lecturing on nutrition and naturopathic medicine. He has been practicing clinical nutritional medicine since 1984 and is the medical director of the Tabor Hill Clinic in Portland, Oregon. In 1994, Dr. Marz earned a Master’s Degree in Acupuncture and Chinese Medicine from Oregon College of Oriental Medicine. 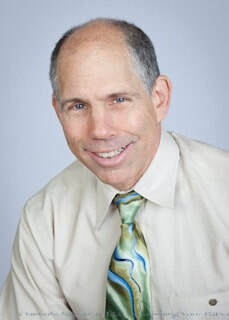 In 1988, Dr. Marz began his teaching career as an assistant professor of nutrition at the National College of Naturopathic Medicine in Portland, Oregon. He has also taught advanced nutrition at other medical schools, including the six accredited Naturopathic Colleges in North America, Western States Chiropractic College in Portland, Oregon and the Oregon College of Oriental Medicine. Based on a decade of successful clinical practice founded on nutritional medicine, and on his teaching the latest advances in medical nutrition to medical students, Dr. Marz subsequently authored his celebrated Medical Nutrition from Marz, in 1992. The text is a clinically oriented compilation of academic and avant-garde nutrition. A greatly expanded and updated second edition was published in 1997 and again in 2003. Dr. Marz practices medicine and serves as Medical Director of Tabor Hill Clinic today, and just as consistently, he remains committed to his high standards for health and quality as CEO of Marz Nutrition, LLC. He was elected into the National College of Natural Medcine Naturopathic Hall of Fame in 2015. In addition to therapeutic nutrition, he wants to educate physicians, students and lay people about how the decisions they make influence the health of the planet. Decisions about recycling, where you live, how you travel, what things you buy, where they are bought, who makes them, what car you drive, consumption of medications, how you heat your water, how much energy you consume etc. ultimately all play a role in the health of the planet and the individual. With the dramatic rise in cancer and autoimmune diseases, it is necessary to look at the health of the environment and how we are affecting it from all angles. His goal in teaching is to influence people’s decisions on all levels so that they can make informed choices about caring for the planet and influencing the health of all people around the earth.